Website Design for Behavioral Mental Health Practice | This therapy services website developed years ago in classic ASP for Windows IIS hosting and continues to generate online customer leads and support the existing customers. 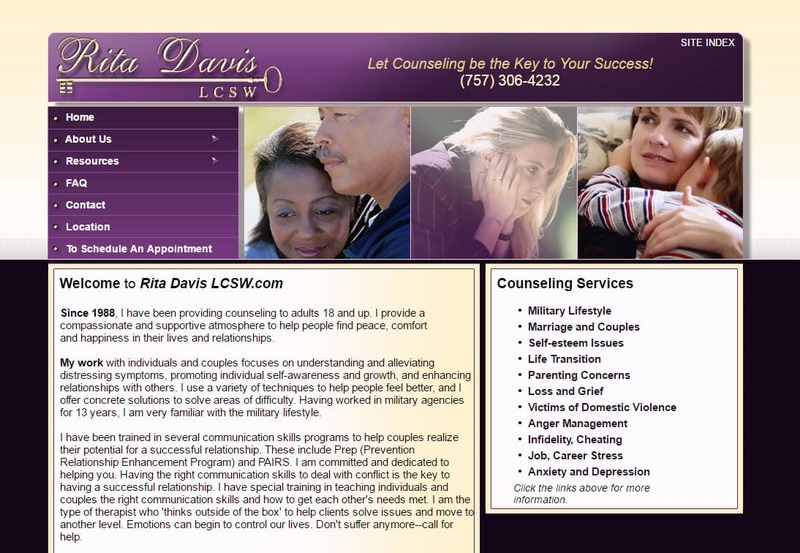 Rita Davis LCSW offices are in Virginia Beach, VA. When searching ‘Website Design for Behavioral Mental Health Practice’ look no further than the web design experts at VISIONEFX. Also see more medical services website design Norfolk VA.